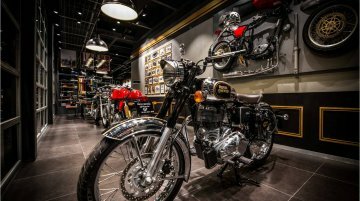 The Royal Enfield 650 Twins have garnered a combined sales of 5,168 units in less than 5 months since its deliveries began. 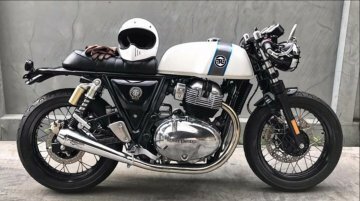 Their deliveries had commenced in the second half of November 2018. 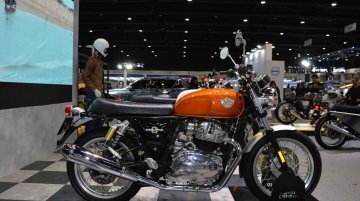 The Royal Enfield Interceptor INT 650 and Continental GT 650 continue to have a long waiting period in the domestic market. 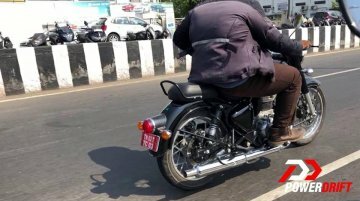 Our interaction with the dealerships in Mumbai and Chennai revealed that the..
Royal Enfield has updated its complete product portfolio with the safety net of ABS. 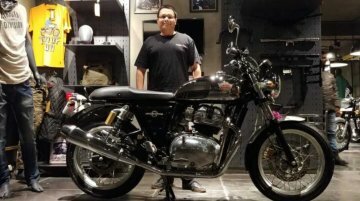 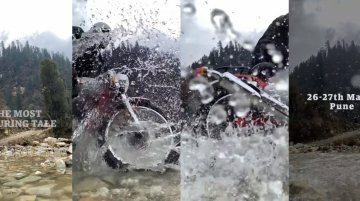 Unlike most of the manufacturers, Royal Enfield has opted for dual-channel ABS for most of its products, the only..
Royal Enfield has updated the Bullet 350 and Bullet 350 ES with the safety net of ABS. 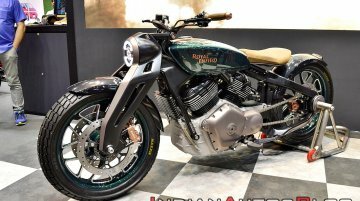 However, unlike the rest of the Royal Enfield motorcycles, the Bullet 350 and the Bullet 350 ES have received a..
Royal Enfield has announced an investment of INR 700 crore for FY2020. 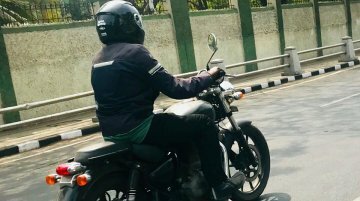 A chunk of this will be used for the construction of Technology Centre (Phase 2) in the new Vallam Vadagal plant. 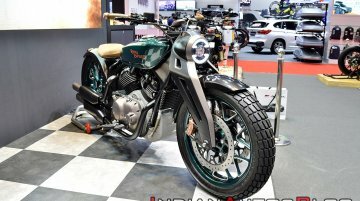 This facility..
Royal Enfield displayed the KX Concept Bobber at the 2019 iteration of the Bangkok International Motor Show. 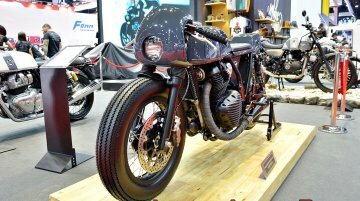 The concept motorcycle was unveiled at the 2018 EICMA motorcycle show although its future,.. 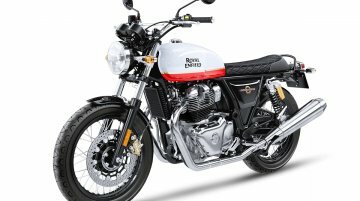 Earlier in March, Royal Enfield had announced the optional alloy wheels for the Classic and the Thunderbird range. 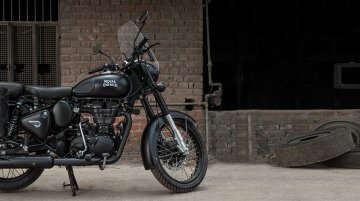 Now, the Chennai-based two-wheeler brand has announced more accessories for its best..
Royal Enfield introduced the Bullet Trials Works Replica 350 and 500 in the Indian market at ex-showroom (pan-India) price tags of INR 1,62,345 and INR 2,07,104 respectively. 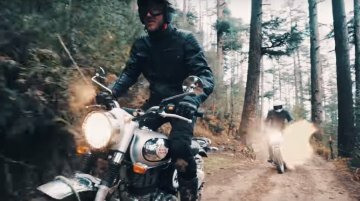 The motorcycle has..
Royal Enfield has launched the Bullet Trials 350 and Bullet Trials 500 in the Indian market at ex-showroom prices of INR 1,62,345 and INR 2,07,104 respectively. 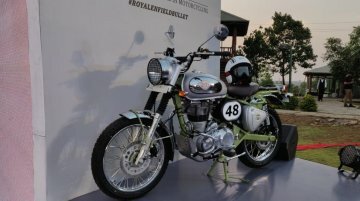 The bookings for the motorcycles, as..
Royal Enfield has commenced the bookings process for the Trials 350 and Trials 500. 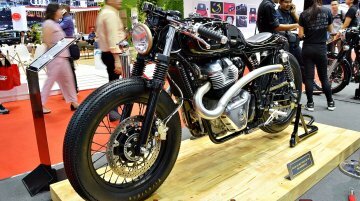 Potential buyers could book the motorcycle for a token amount of INR 5,000. 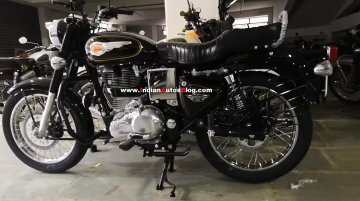 Royal Enfield would announce the prices..
Royal Enfield has commenced the road tests of its next-generation models, and a mule of the new Classic range motorcycle was spotted somewhere near Chennai. 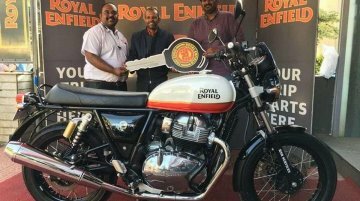 The next-generation Royal Enfield Classic..
Royal Enfield is taking a major step to boost its export sales. 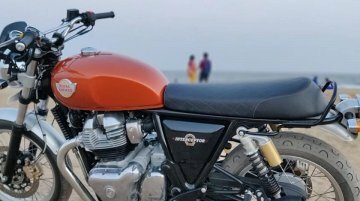 The Chennai based two-wheeler brand and one of the biggest sellers of mid-sized motorcycles globally would form its first wholly-owned..